TIS is a system of persons, records of territorial data, and activity through which this data and information is processed in a given organization, including manual and automated processes. The third definition of TIS as a system of persons, records of territorial data, and activity through which this data is processed relates to its structural complexity. It is not just a sum of territorial data and information. It emphasizes the essential importance of people and their activities in the production of information. The inquisitive capacity for gathering, structuring and processing data are tightly linked to the quality of information which TIS can provide. 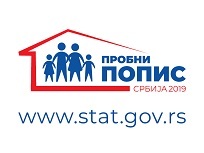 At the level o local government, the development of TIS implies planning and management of coordinated human activities in the gathering, structuring and processing of territorial data, Thus, Territorial Information Systems are not the result, but the continuous process of producing and managing information, in order to provide support to the process of decision making in the management of the territory. These processes can be managed manually and/or automatically. The term "information system" is usually erroneously used as a synonym for computer information systems. It is not necessary to process data using information-communication technologies. But it is essential to stress that ICT provide support in achieving very good quality of information in a very efficient way. It is today difficult to imagine the development of any kind of information system without the support of ICT. TIS is a tool which provides efficient gathering, storage, management, analysis and presentation of all forms of data and information related to the territory. Another definition of TIS as a tool relates to the fulfilment of requirements for the understanding of the territory in the process of an integral approach to the forging of policy, and the planning of local development. As has already been explained, accurate, pertinent, quick and integral information on resources in the territory: ecological and socio-economic, are necessary for effective and efficient decision making in the process of planning and formulating policies, and evaluating future changes in the area of usage and management of the territory. In order to fulfil this requirement, it is necessary to develop information systems for the gathering, systematic observing and evaluation of ecological, economic and social data related to the territory, which is the proving ground where local development and good management are to be realized. It is of essential importance here to underline the term "records of territorial data", because TIS is the tool which must provide the integration of ecological, social and economic data. This is possible through their unified geographic codification, which lies at the very basis of the definition of the theory. Until now various information systems were developed at the local level for ecological, social and economic resources. The basic problem is that they were mainly developed as sector information systems which were structured as simplified models of statistical data on administrative space units, and in most cases do not permit more complex analysis and integral evaluation of resources, and the production of specific quality territorial information. In this sense, one of the very important local tasks is to establish a "system", i.e. procedures and rules for coordinated sector activity in gathering and evaluating data and information related to a particular territory.